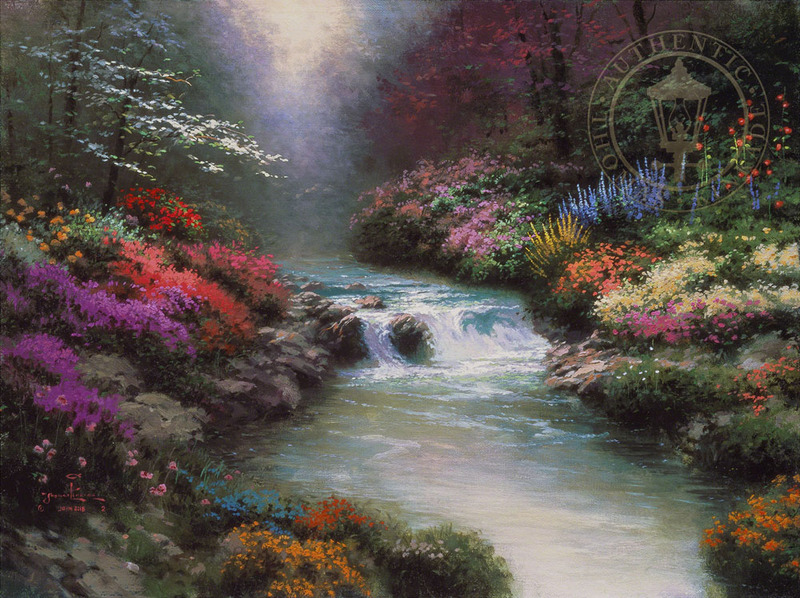 There is a wonderful hideaway I visit only in my art, bathed in a silvery light, ablaze with flowers of every hue and description, silent save for murmur of gently rushing waters. Beside Still Waters is my vision of what the Garden of Eden must have been like. As a Christian, I speculate on the mystery and wonder of God's creation, when nature was perfect, unspoiled. As an artist, I try to convey my own wonder at the richness and variety I still find in the natural world.